Lounge chair with Wooden frame, fully upholstered with or without buttons. 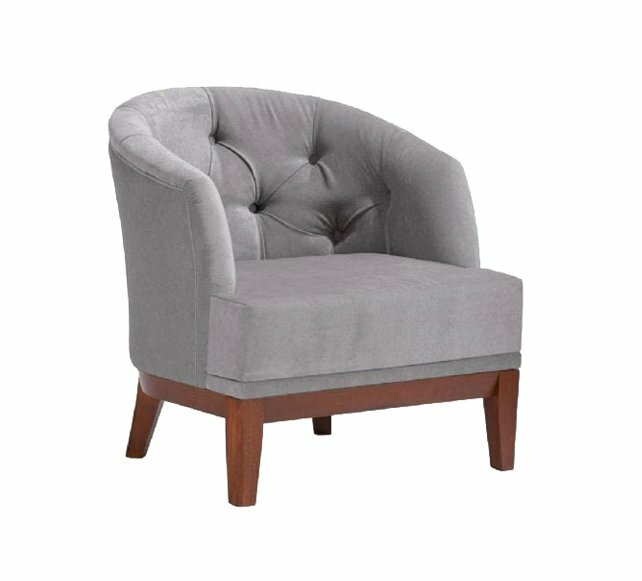 Finish: Upholstered, available in C.O.M. (customer’s own material).